The Challenge of the Holidays and Weight Gain is nearly universal. There is nothing more disturbing than gaining 10 lbs over the course of the holidays and many folks can easily add 15 lbs by Valentine’s Day. Here’s some tried and proven tips to help you. 1) Hydrate = Water, Drink Plenty. Plus: Water works fast at curbing your appetite. An 8 oz glass 15 minutes before your feast, will curb your appetite, and if you drink a glass of water for each glass of wine, or other alcoholic beverage, you will be better off. This works by sending nerve signals to your brain that says “I’m full”. Pay attention to what your tummy is saying and not necessarily what your mouth and taste buds are saying. Once you become aware of the difference, it becomes second nature. I look at some delicacies and my mouth waters, but then I check in with my stomach. Oh, I am full already! I’ll pass. Although you will have to make extra trips to the bathroom, you can stay in gratitude that the plumbing is working well. Tips: Drink an 8 to 10 ounce of water (no ice) a few minutes before or immediately before you sit down at the table and another before dessert. Chances are you’ll eat far less. Remember, you don’t have to obey your taste buds and those salivary cravings, check in with the tummy and see if you really want it. There are more options for healthful desserts now. I always go the for the high protein ‘health’ bars and leave the high sugar ones on the shelf. If at a party, share one dessert with a partner, it’s plenty. 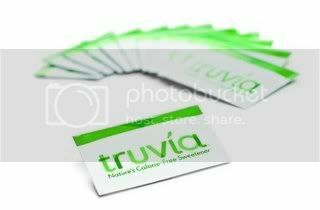 For years now I have used Stevia or Truvia in my coffee and never use sugar. I will never use a pink or blue substitute sweetener and I can’t understand the FDA allowing poisons like that in the food market but I will use the yellow packets in a pinch. I also carry Stevia packets when I am in a hotel or at a conference. Tip: Keep stevia and low, zero sugar protein bars in your car, bedroom and overnight bag. Another tip is to use Garcinia Cambogia, or Berberine as an anti-carb product. Cut back on carbs and you will do better, feel better and look better, but we still will eat some carbs no matter what. Who can resist that turkey stuffing? Especially with cranberry sauce? So Double up on Garcinia or remember to stay on your berberine regimen, it will give you a better chance of burning the carbs rather than storing them as fat. 3) Stress and Sleep: Use the holidays as a time for gratitude and leave the stress behind. Stay focused on what’s important. What you have and not what you don’t have. I know it can be stressful, all the dates, scheduling and shopping excursions and trips to plan. You can only live one moment at a time. We are better off when we stay connected to gratitude. It’s the common bond of our humanity and keeps us sane, even in the holidays. Tips for a better sleep: 1. Get to bed on time. Unwind, with soft music and a book. No TV or cell phones or clock radio lights in your bedroom. I throw a towel over my bedroom clock to hide the light emission. I make sure the curtains are closed. 2. The concept of setting intention or remembering your goals and desires before sleep are good things to do along with a prayer of gratitude for your family’s safekeeping. In Christianity it’s letting go and letting God. In Eastern philosophy it’s the law of detachment. It works both ways. It’s one of those secrets or psychological devices we can use to keep right with the world. Be bold and stay in charge, it’s your brain, it’s your body. My first grand daughter, Savannah at 3 weeks old! There is always something to be grateful for! Like grand children! Gratitude keeps us connected!